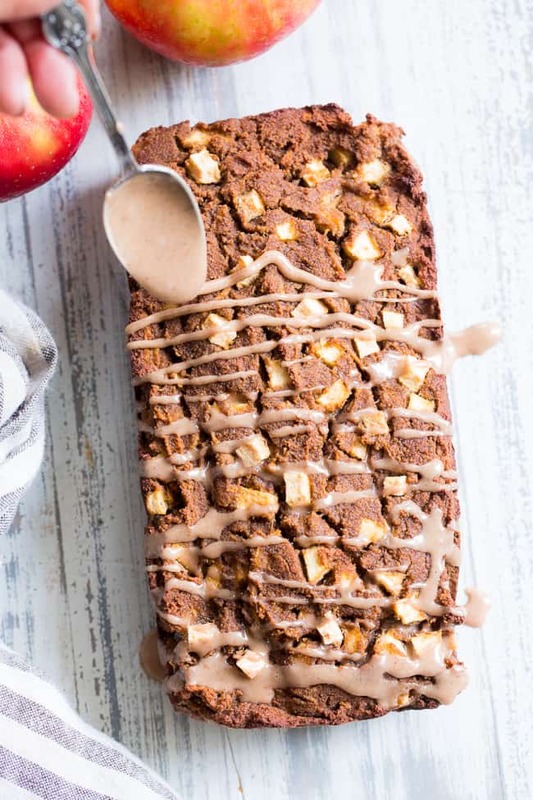 This cinnamon apple bread uses coconut flour to make it grain free, paleo, and nut free! 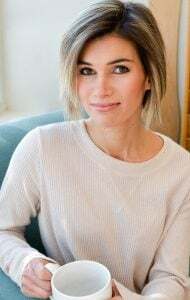 It’s sweetened with applesauce and pure maple syrup, is soft, moist, and packed with juicy bites of apples. 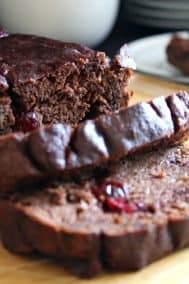 The perfect healthy apple bread for fall, it’s kid approved, gluten-free, dairy-free and great for breakfasts and snacks! One of the biggest recipe requests I get on a regular basis is more NUT FREE baking! Whether it’s because someone in the family has a nut allergy OR you need nut-free snacks to send with your child to school (we do! ), nut-free is always in high demand with us mommas, it seems. 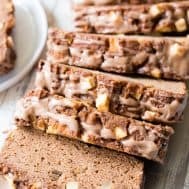 Although I tend to go a bit overboard on nuts over here myself, I always like to take those requests into account and make sure the blog is stocked with delicious nut free baking recipes for all seasons. 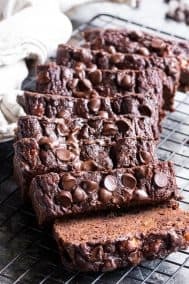 Paleo truth – it’s tougher to get great tasting nut-free + paleo baked goods. The nut free flours can be harder to work with and yield results all over the map, while almond flour (in my opinion!) is a whole lot more predictable. The reality is that I typically need to test my almond flour recipes (or blended flour recipes) just once or twice, while my coconut flour and cassava recipes usually need 4-5 testing rounds. Not always fun (in fact they usually drive me nuts, pun intended!) but it’s always worth it in the end when the “final” version comes out just as I wanted it to. Even if I never want to ever see that recipe again after those 4-5 tries. Yes, recipe testing can be more than a little bit frustrating, to say the least. Anyway, the ingredients I used for this apple bread changed quite a bit as I experimented with different versions. I began using coconut sugar to sweeten, and shredded apples in the bread instead of applesauce. Yet, it seemed like the bread was turning out too dry and too wet at the same time (oh, coconut flour!) if that’s even possible. After the first 3 tries without much variation, I decided to go in a different direction for the 4th. I swapped out granulated sweetener for liquid (maple) and shredded apples for applesauce. Honestly, I was tired of shredding apples! BUT the applesauce came through for us, so in the end it was a good call! 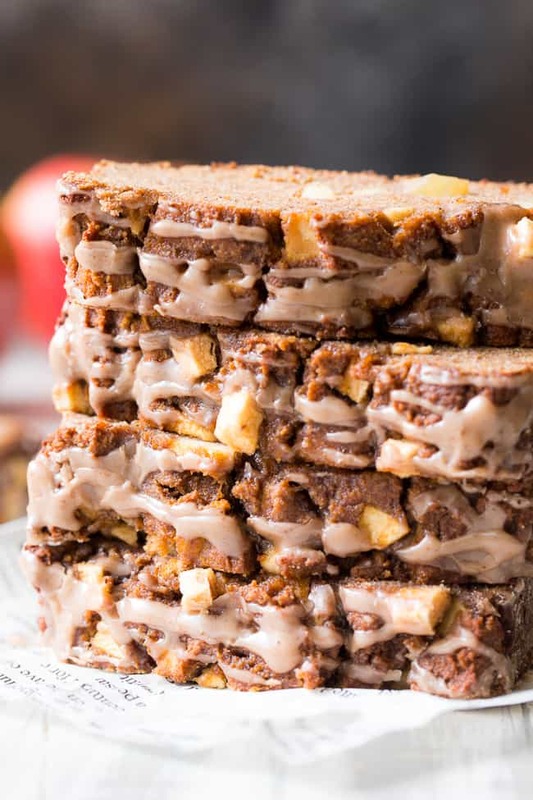 Even though I abandoned the shredded apples in favor of a lighter texture, we still have our share of juicy apples – diced and mixed in before baking – which makes for an easier recipe anyway. Because I’ve been going a little wild ever since I learned how to make paleo powdered sugar, I had to include a nut-free icing to drizzle over the top of the loaf. It’s totally optional, so no need to make it if you don’t want your loaf too sweet. If you don’t mind organic powdered sugar, you don’t need to make your own powdered sugar. But, if you want to stick with unrefined sugar, maple or coconut sugar works well. I usually put it in my food processor along with some tapioca starch, and process until it’s as fine as it will get. Full disclosure: I used organic powdered sugar for the photos since I wanted the icing to be lighter in color. Using maple or coconut sugar yields a darker brown icing due to the color of the sugar. I hope you’re ready for a fun, festive, fall baking recipe! This bread is perfect for breakfast, snacks, and lunch box treats, and anything you want, really. Kids will love it because it’s simple and tasty. Plus, it’s always good to give the little ones a healthier treat option this time of year! 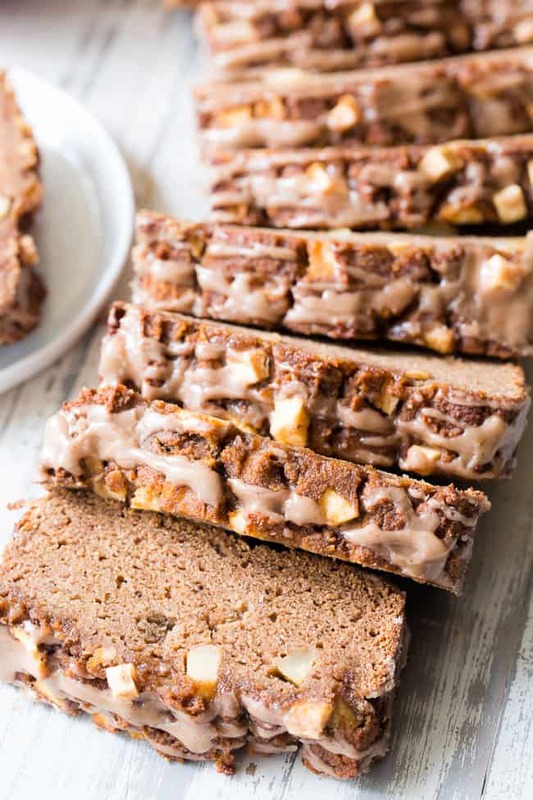 Grab your apples, aprons and a whisk and let’s make this paleo + nut free apple bread! 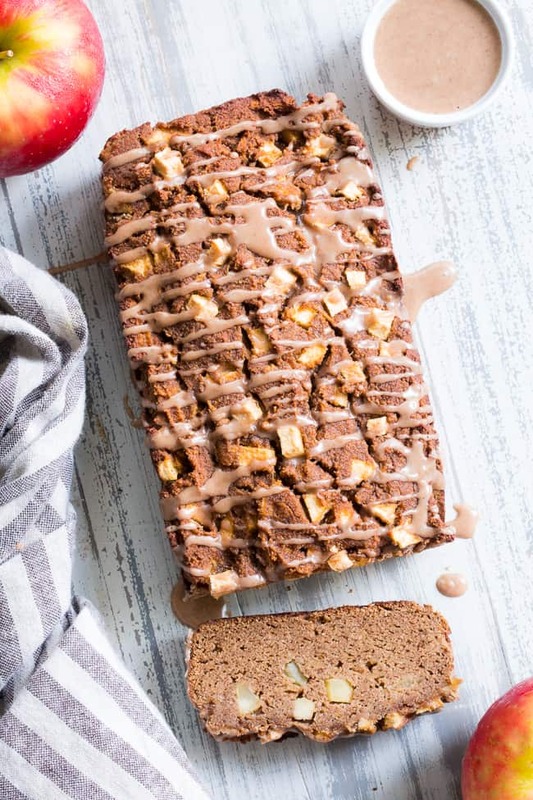 This cinnamon apple bread uses coconut flour to make it grain free, paleo, and nut free! 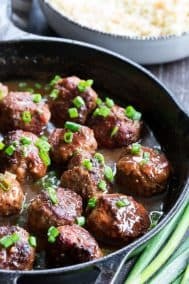 Â It's sweetened with applesauce and pure maple syrup, is soft, moist, and packed with juicy bites of apples. 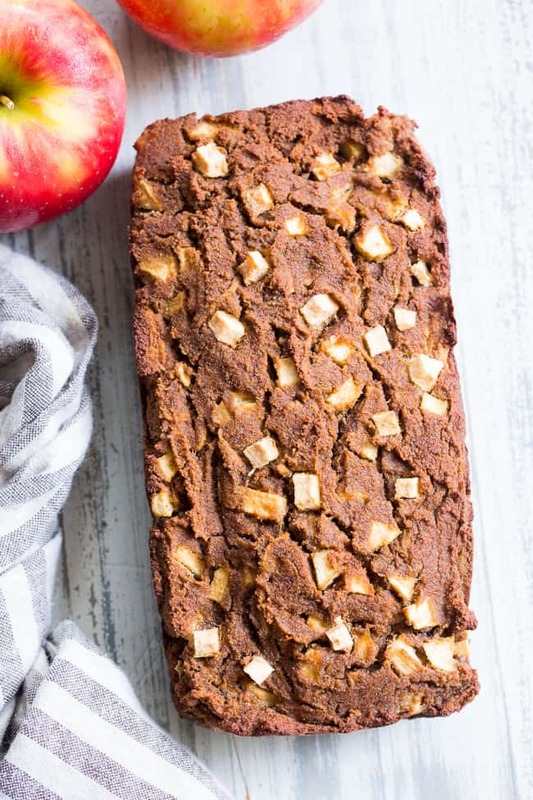 Â The perfect healthy apple bread for fall, it's kid approved, gluten-free, dairy-free and great for breakfasts and snacks! 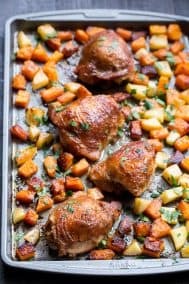 Tap the pan on the countertop a few times to spread batter evenly, then bake in the preheated oven for 50-60 minutes or until top is deep golden brown and a toothpick inserted near the center of the loaf comes out clean. If using the icing, prepare it while the bread cools. Stir together the coconut milk, syrup, cinnamon and vanilla until smooth, then whisk in powdered sugar until you get a desirable “drizzling” consistency. Drizzle icing over completely cooled bread before serving. Store leftovers at room temperature for the first day, then refrigerate, covered, for up to 4 days. Enjoy! 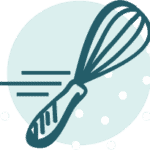 *To make your owned paleo powdered sugar, blend 1 cup maple sugar or coconut sugar in a food processor until you achieve a powdery consistency/texture. You can add 1-2 Tbsp arrowroot or tapioca starch to this mixture for a finer powder. For this recipe, you'll need just 6 Tbsp of this mixture. NOTE: If using homemade paleo powdered sugar, the color of the resulting icing will be darker that pictured due to the color of the sugar. 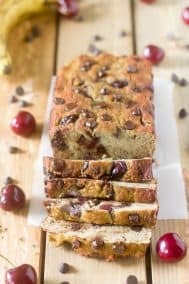 This apple bread looks so delicious and moist! 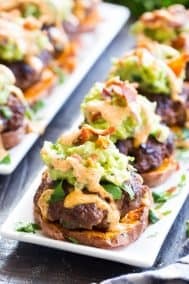 I can’t wait to try this recipe on the weekend! Looks delicious! Definitely going to make. Question… It says the icing is optional so is it included in the nutrition facts? Or are those counts for just the bread? Nope didn’t include it in the nutrition facts. What if I want to add nuts? What kind do you recommend and how much of it? Hi can this be made egg free? Unfortunately no, coconut flour recipes need eggs. 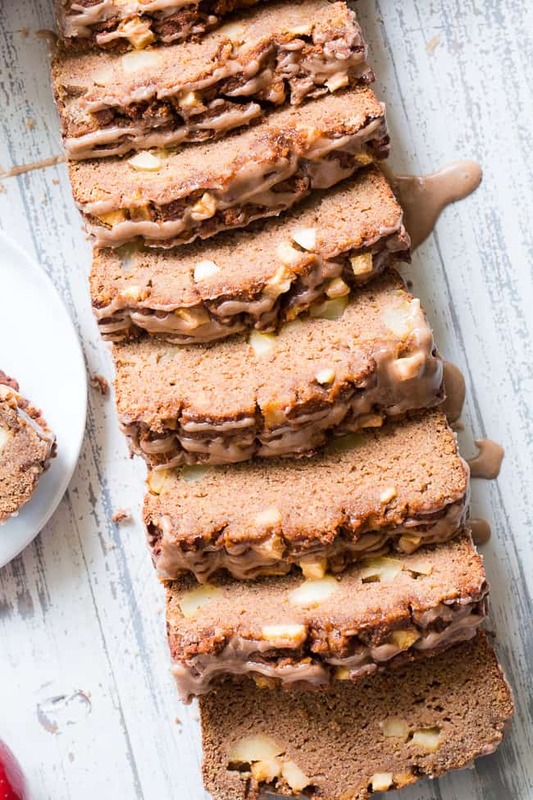 I’ve been waiting for someone to come out with a nut-free paleo apple loaf…this is divine! My whole family loved it. My only regret was that I didn’t double the recipe! Pretty dry and bland…I would have enjoyed just the baked apples more! Sorry you didn’t like it, coconut flour recipes aren’t for everyone. I did not live this bread out of the oven but about 2 days later – changed my mind but do not omit some kind of glaze for the top. I did not make the glaze but used rxbars new vanilla date almond butter spread on top. It needs some kind of topping…and best served at room temp. 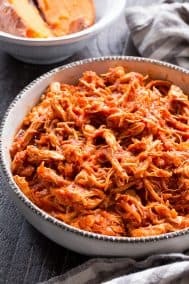 I shredded a large honey crisp instead of chopped apples and replaced nutmeg and all spice with 1/2 tsp apple pie spice. Replaced maple syrup with a concentrated apple sweetener to make it entirely fruit sweetened. I did not find it bland. 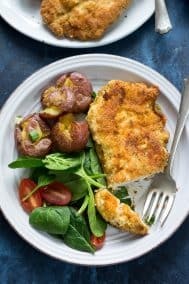 While I will make this again, if you don’t love coconut flour recipes, pass on this one; however for those with nut allergies this is a solid recipe. Good texture. 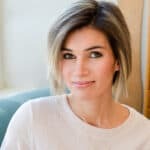 Love this review, and I agree with your thoughts on coconut flour! I also love your substitutions and happy they worked out well. Tasted great! What is the best way to store this bread? Do you know how long it will keep for?